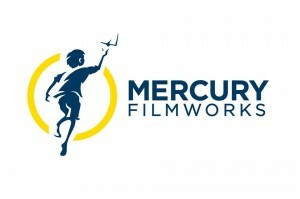 Company Info: Mercury Filmworks is one of Canada’s most prolific independent studios and internationally recognized as a leader in the animation industry for its benchmarks in quality, reliability, and innovation. Mercury has helped bring to life many of the most memorable modern animated television and film properties including Jake & the Never Land Pirates, Fish Hooks, Kick Buttowski: Suburban Daredevil, Stella & Sam, Jimmy Two Shoes, Toot & Puddle, Ruby Gloom, Grossology, Gerald McBoing Boing, Curious George: The Movie, The PowerPuff Girls Movie, Fat Albert, and Looney Tunes: Back In Action. Mercury is proud to be associated with partners such as Disney, Warner Bros., Universal, American Greetings, Entertainment One, Technicolor, Cartoon Network, Nickelodeon, CBC, Teletoon, YTV, Family Channel, and Treehouse. Job Description: We are currently seeking a highly creative Layout & Location Designer to join our team working on a challenging, fast-paced production. This individual must be extremely self-motivated, possess exceptional artistic skills, have an impeccable eye for layout, and great attention to detail. The Layout & Location Designer will work under the guidance of the Layout Supervisor. *All candidates must reside in Ontario, Canada. How to Apply: Please send your resume and portfolio to: jobs@mercuryfilmworks.com and reference: LA-0714 on the front and in the subject line of all submissions. This entry was posted on Friday, July 11th, 2014 at 5:52 am	and is filed under Jobs. You can follow any responses to this entry through the RSS 2.0 feed.